In this pastor’s memoir, humor is shown to be a critical part of faith and of confronting health challenges. In the Rev. 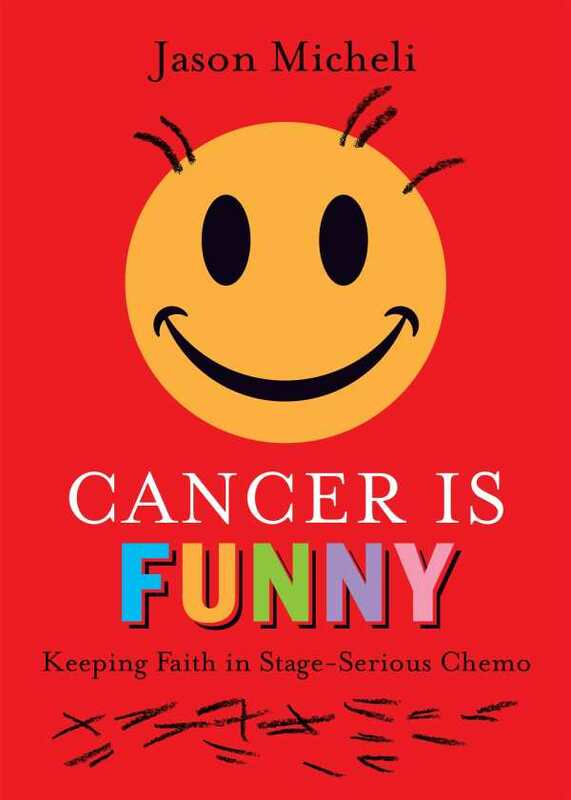 Jason Micheli’s memoir, cancer is both funny ha-ha and funny strange. Diagnosed with a “stage serious” rare bone cancer, Micheli faced the ravaging of his body, family, and faith—certainly not the normal fodder for humor. Except that it is. Micheli found that in the depths of a disease, where one is laid most bare, the opportunity and the necessity for humor arise and align with the belief that God is joy, and joy involves laughter. Chapters generally begin with an anecdote: his initial diagnosis; his interactions with doctors and nurses; his relationship with his family. These stories are followed by Bible stories, which Micheli approaches with greater understanding in the long, tedious days of his physical infirmity; he relates how he achieved new clarity in the wake of his illness. Micheli’s Bible explorations are intimately connected with his lived experience. In the pursuit of understanding, he makes points through logical, accessible argumentation that is never divorced from humor or doubt. His voice is honest, wry, and calm, and his work is particularly powerful in its relatability. His biblical explorations do not force particular ideas or assumptions about faith so much as they ask the reader to ponder questions themselves. “Persisting with God, even when you don’t feel God, is the exact definition of faith,” Micheli concludes. This is no spoiler; the remarkable thing about this journey is found in Micheli’s ability to laugh and love along the way.